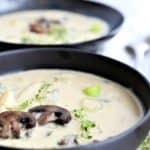 Cream of Mushroom Tarragon Soup. Vegan, gluten free and dairy free. 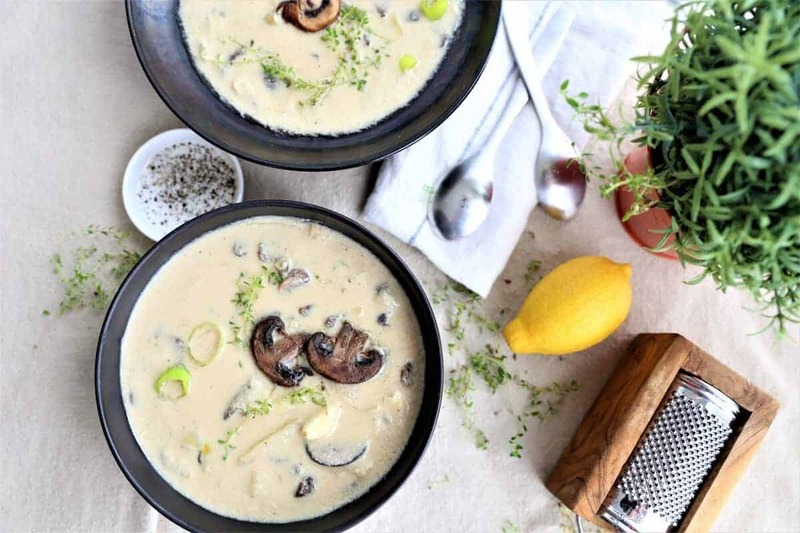 Cream of Mushroom Tarragon Soup is a smooth, warm bowl of comfort. 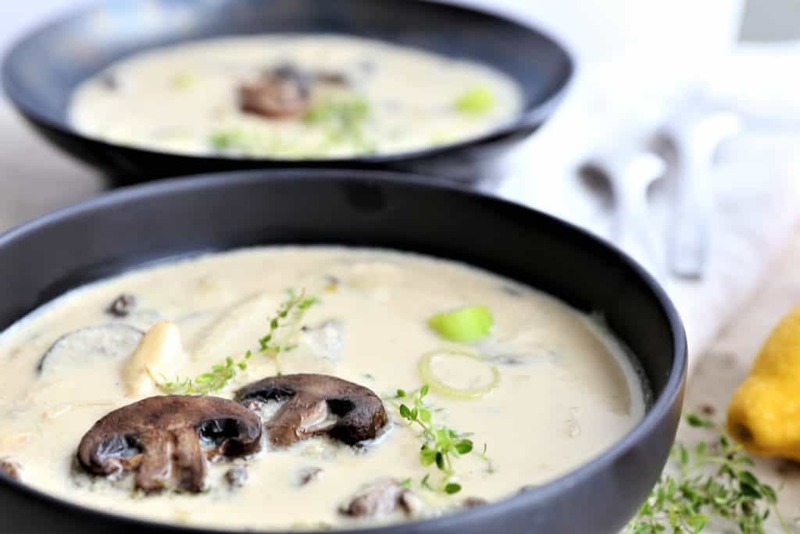 Ready to eat in 30 minutes, the traditional cream of mushroom soup is even better with the addition of tarragon and the garlic cashew cream makes it thick and filling. I love using fresh herbs to make the recipes that I prepare. In Southern California, (it is 67 degrees, and sunny), we have the option of growing our own herbs year-round. I have basil, rosemary, tarragon, peppermint, and a few others. In other locations, you can purchase fresh herbs in the produce section of the grocery store. If possible, try and find fresh herbs. The aroma of fresh herbs, homegrown without pesticides….well, it is the little things in life that sometimes bring joy. This soup is vegan, gluten free and dairy free. 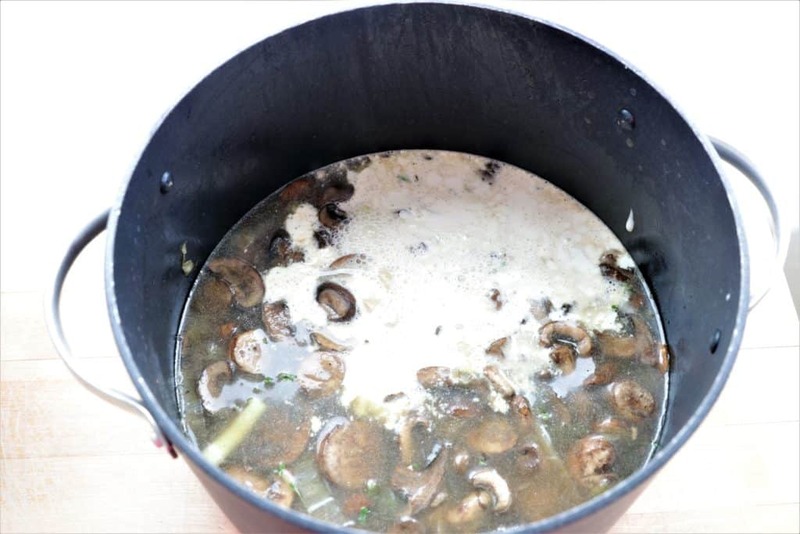 Cream of Mushroom Tarragon Soup. Fresh and smooth, the best in comfort food. Vegan, gluten free, dairy free. 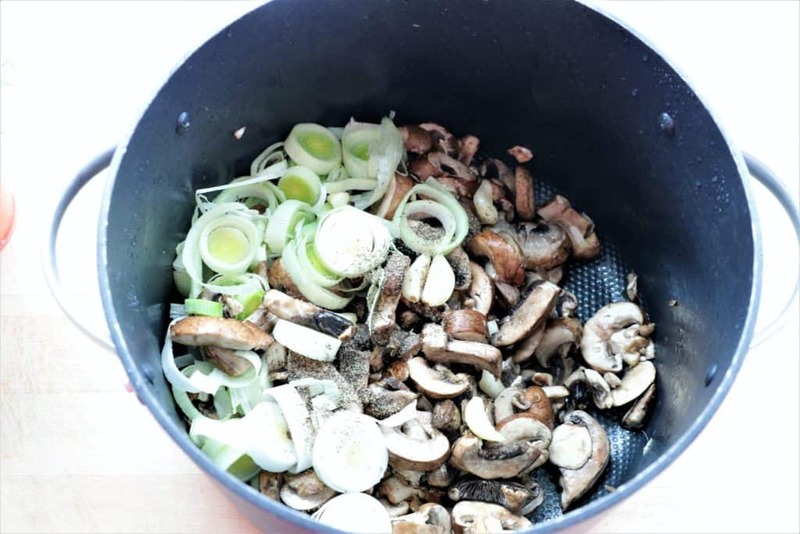 Saute mushrooms, garlic and leek in olive oil. Add vegetable broth and tarragon. Bring soup to a boil and immediately turn down heat to simmer. Simmer soup for twenty minutes, stirring occasionally.